More than 100 years have passed since the first women won the right to vote. Now, the World Economic Forum (WEF) suggests that it will take 217 years to close the gender pay gap. The gap is defined as the difference between men and women’s average earnings across the labour market. According to the Global Gender Gap Report 2017, published by the WEF, the gap is closing, but at a slow pace. 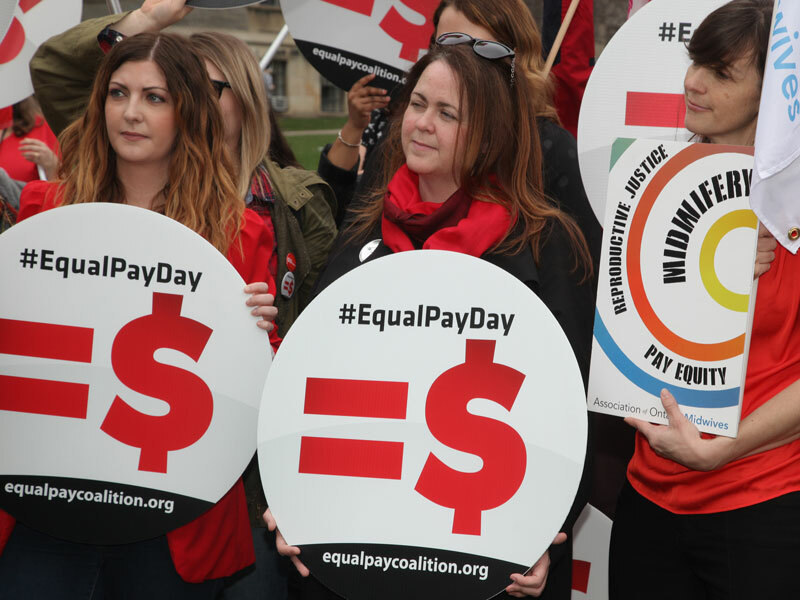 To date, 68 percent of the global gender pay gap has already been closed, but significant steps must still be taken before wage inequality is fully eradicated. To achieve global parity, the actions of individual countries must be considered. Developed countries are significantly closer to realising equal pay than developing ones. Europe leads the way, with Iceland ranking first in the world, having closed 87 percent of its gender pay gap. The WEF report explains how lessening the pay gap could bring benefits such as stimulating economic activity. If a country limits women’s access to the labour market, it can impede economic growth; East Asia loses an annual $42bn (€34.6bn) as a result of limiting women’s participation in the workplace. By paying women the same average salary to men across the whole labour market, China, for example, could increase its GDP by $2.5trn (€2.06trn). China currently ranks 100 out of 144 in the WEF report, and has closed only 67 percent of its gender pay gap. The proportion of women in leadership and parliamentary positions is a useful indicator of how equal the global labour market is. In terms of political leadership, according to the WEF, Rwanda has the highest share of female parliamentarians in the world, at 61 percent. Iceland has considerably less, at 47.6 percent female ministers. Nonetheless, political empowerment is progressing on a global scale; the WEF estimates that this gap could be closed within 99 years, despite it currently standing at 77 percent. In the private sector, businesses are increasingly hiring women to fill roles at all levels of their company’s structure. In April 2017, legislation was introduced in the UK that requires all businesses with 250 or more employees to publish their gender pay gap data. Apple UK, for example, has reported that only 29 percent of its leaders are female. The minimal representation of women in the technology sector has resulted in a notably wide pay gap. Research by PwC shows that just five percent of women in the tech industry hold leadership positions. In addition to hiring more women, male-dominated industries should provide incentives such as flexible working to improve the retention of female employees. Pay disparity doesn’t affect all women equally; there is a considerable inconsistency in what women of colour earn compared with their Caucasian counterparts, as well as men from the same minority groups. Data from the Institute for Women’s Policy Research (IWPR) shows that, in 2017, black women in the US earned a weekly median of $657 (€542), which was 92.5 percent of black men’s weekly wages and only 67.7 percent of white men’s earnings. According to Ariane Hegewisch, Programme Director of Employment and Earnings at IWPR, “once you take the projections of black women, Hispanic women and Asian women into account, typically [the time it will take to close the pay gap] stretches out longer”. A major reason for this disparity is ‘occupational segregation’, which refers to the distribution of men and women across the labour market. Occupational segregation tends to result in women, particularly women of colour, being pushed into lower paid occupations. IWPR’s 2017 report, The Gender Wage Gap by Occupation… Race and Ethnicity, shows that 12.5 percent of all Hispanic women in the US worked in management, business or financial operations – typically high paid jobs – compared with 20.4 percent of white women and 19.8 percent of white men. On the other hand, 26.4 percent of Hispanic women were employed in the service sector, which tends to be lower paid. Another reason that women are often confined to lower paid roles is that sufficient paid family leave is rarely provided. To avoid paying the high price of childcare, many women choose to care for their children themselves, taking time away from work to do so. As a result, their salaries fall behind those of their male counterparts. “Supporting women through education and mentoring, as well as family-friendly policies such as subsidised nurseries and innovative ‘work from home’ policies – [like] the one pioneered by ICICI, a large private Indian bank – can be effective,” explained Ketkar. The ICICI launched various initiatives for their female workforce this International Women’s Day (March 8), including allowing women to work from home for one year, with the possibility of an extension. It is imperative to close the gender pay gap on a global scale, not only because the economic consequences of unequal pay are costly. Advanced economies must formulate strategies to increase the proportion of women, especially ethnic minorities, in high wage occupations. One approach is to encourage girls from a young age to pursue qualifications that will lead them to high paid jobs in male-dominated industries. In terms of women from ethnic minorities, governments must tackle occupational segregation through education and workplace quotas. It is only then that we may edge closer to closing the gender pay gap permanently.